﻿Published by Sareth Ney on April 15, 2016 at 12:24 a.m. Updated on April 16, 2016 at 3:43 a.m.
​JACKSONVILLE, Fla. – Set times were announced for Monster Energy Welcome To Rockville Festival, on April 14. The event will take place at Metropolitan Park, on April 30 and May 1. 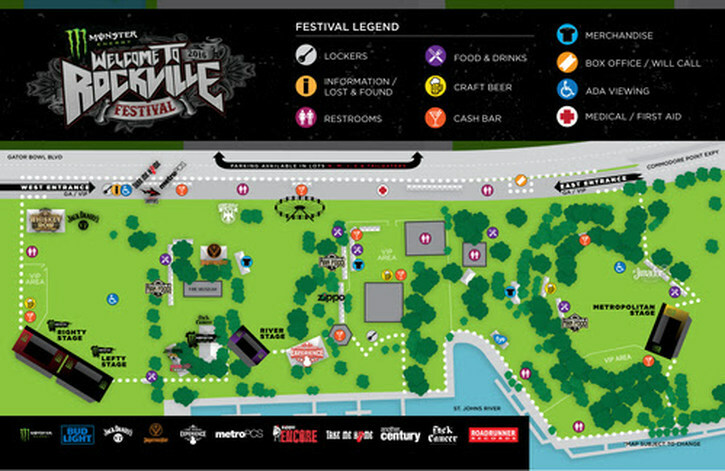 Four stages will host the artists including: Monster Energy Righty Stage, Monster Energy Lefty Stage, Metropolitan Stage and River Stage. It is produced by Danny Wimmer Presents and part of World’s Loudest Month. Lineup for April 30 at Monster Energy Welcome To Rockville is: 3 Doors Down, Asking Alexandria, Big Jesus, Bring Me The Horizon, Bullet For My Valentine, Candlebox, Cane Hill, Collective Soul, Disturbed, Enter Shikari, Escape The Fate, Filter, Hellyeah, Lacey Sturm, Miss May I, Monster Truck, Parkway Drive, Pennywise, Pop Evil, Red Sun Rising, Shinedown, Sixx:A.M., Trivium and Wilson.